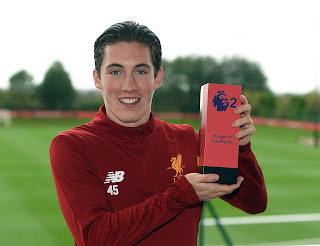 Rangers’ already thin hopes of landing Liverpool winger Harry Wilson have been dealt a massive blow with the 21-year old signing a new year deal at Anfield, according to the Liverpool echo. Rangers were previously said to be in the hunt for the ex-Hull man on loan, with Celtic reportedly making a transfer bid for him too, and while a gaggle of other clubs have also made their interest clear the Welsh flanker has signed a new deal at Liverpool amidst claims Jurgen Klopp will not be doing an ‘Ovie Ejaria’ with the young star and letting him go north on loan. According to the Echo, Klopp didn’t like how Celtic boss Brendan Rodgers used other clubs’ loan players, and is loathe to send him there, while the player reportedly turned a loan to Rangers down in recent months. At age 21 Wilson probably feels it’s his time at Anfield now, and the promise he showed at Hull does suggest a player who’s ready to make the step up, although the signing of Swiss international Shaqiri may provide extra competition for that slot. The problem with the Wilson story is the contradictions in information about him – one moment he is choosing between Rangers and Celtic, the next he’s rejected one, then he’s staying at Liverpool. We're getting a headache with this one Denis! If he doesnt want to pull on the famous blue jersey in front of 45-50,000 fans...Its His Loss! Middleton? Atakayi? Barjonas? Rudden? A.Wilson?